Sometimes I love adding just a little touch of subtle fandom to my every day outfits. Most days it's easier just to throw on a simple Star Wars T-shirt, but other days I want to class it up a bit. Today I wanted to show off one of my newest and most favorite accessories, the Star Wars Galactic Necklace from ThinkGeek. I spotted this necklace last fall and thought it was such a neat design, but I wanted to see the detail up close before buying it. After seeing one in person I completely fell in love and ended up getting it as a Christmas gift. 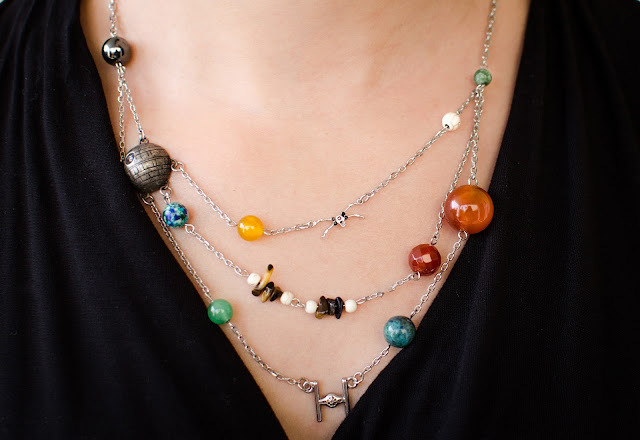 At first glance, you'd probably just assume this necklace was a replica of our solar system or maybe just an arrangement of some cool beads. Up close though, a Star Wars fan would notice the dead giveaways like the Death Star, TIE Fighter, and even the teeny little X-wing ship. 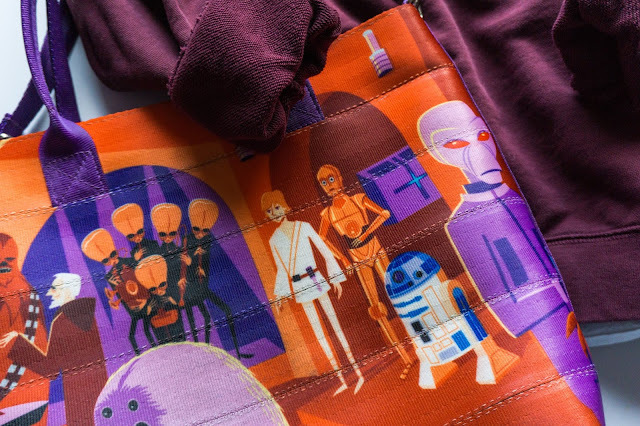 The other details represent nine different planets from the Star Wars universe including Coruscant, Alderaan, Yavin 4, Tatooine, Sullust, Dagobah, Hoth, Endor, and Bespin. If you don't recognize all of the planets by name, don't worry! It comes in an awesome gift box that lets you know which planets from a galaxy far, far away you're sporting on your neck. Much to my surprise, the Star Wars Galactic Necklace is really lightweight! 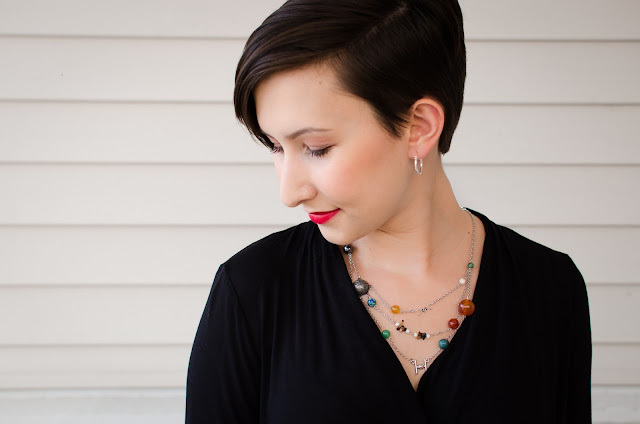 I don't like wearing heavy jewelry, especially necklaces, so I was really happy that all of the different stones and glass beads didn't weight it down too much. It has an adjustable chain as well, but I like to wear it on the shortest link. I paired this necklace with a really simple outfit so it wouldn't get lost in a busy pattern or bright colors. I wore black on black in my favorite wrap top from Anthropologie (scored on clearance, woo!) and Madewell jeans. 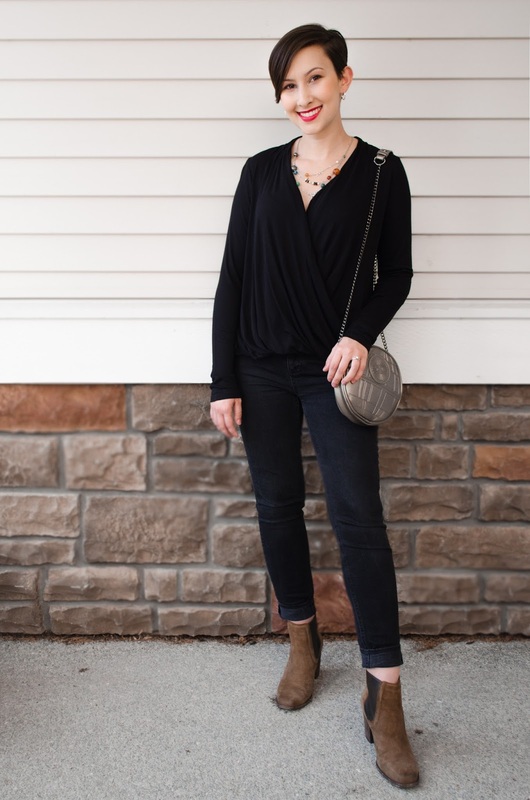 This look is perfect for running errands, grabbing brunch with your girls, or even going on a date if you felt like swapping the boots for a pair of heels. 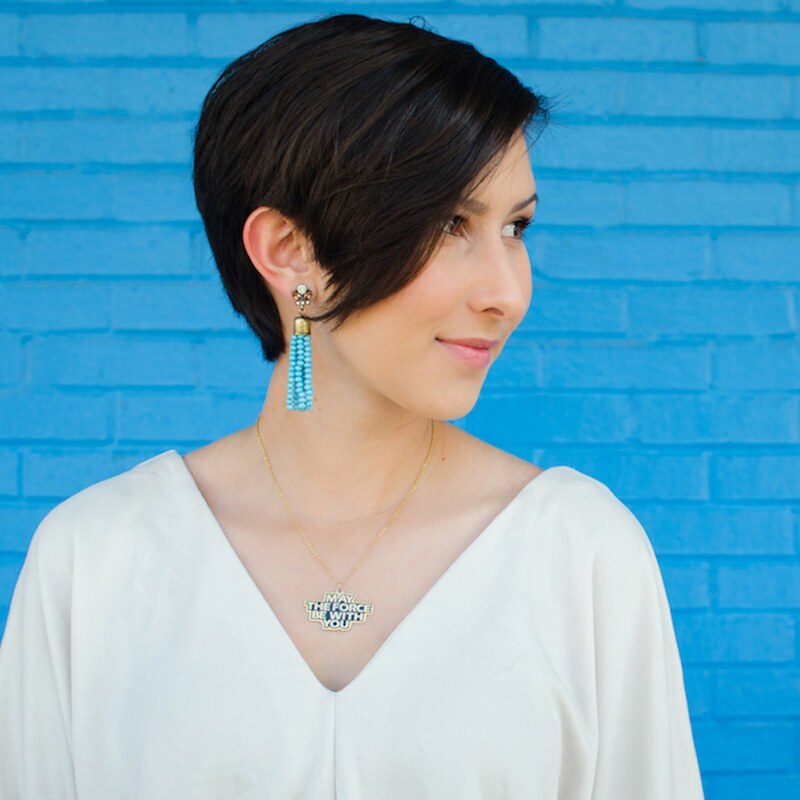 How would you wear the Star Wars Galactic Necklace? Leave your style ideas in the comment section below! 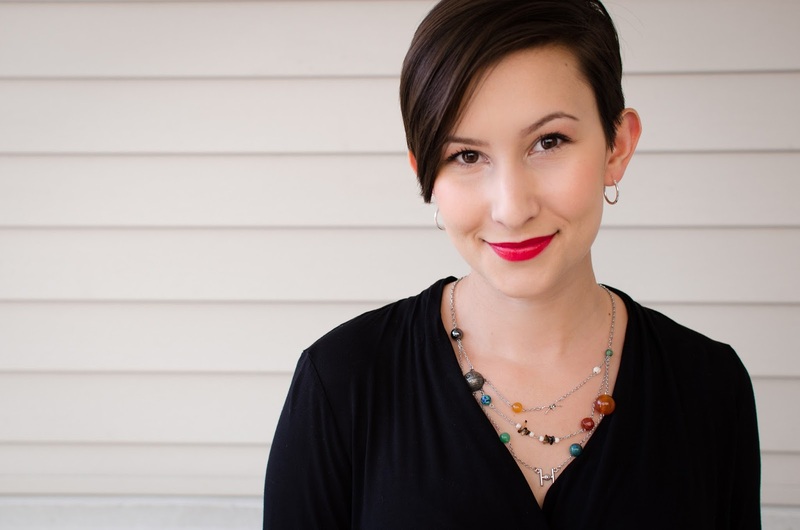 I've been wanting this necklace since it first came out, but hadn't seen a review from someone who owns it. It's great to know how it looks on you, and that it isn't too heavy or clunky. I'd totally pair this with one of my go-to LBDs for a night out or a pro party!